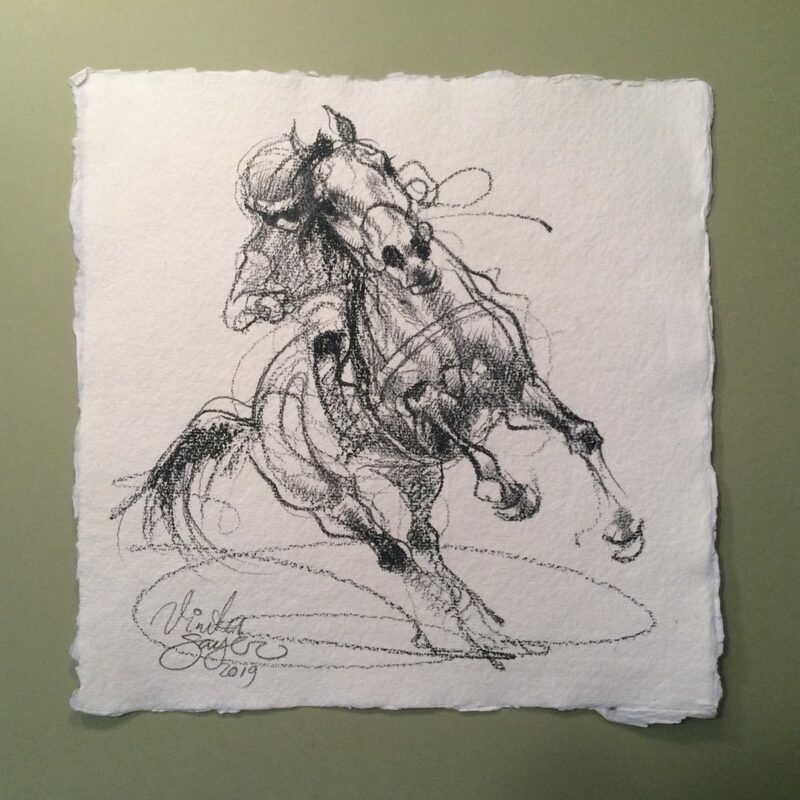 Ever since she can remember Vineta has been drawing horses. 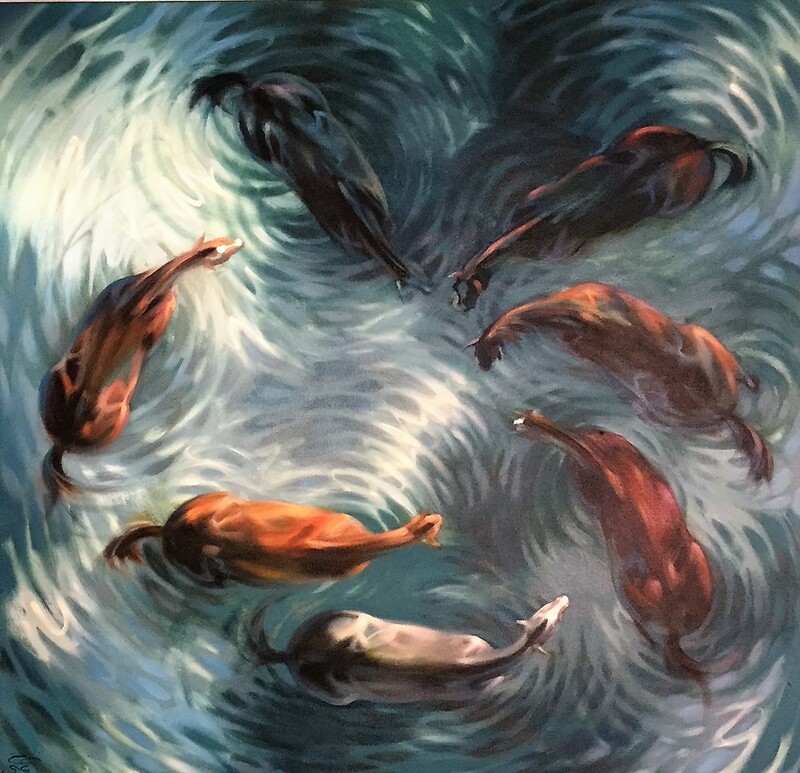 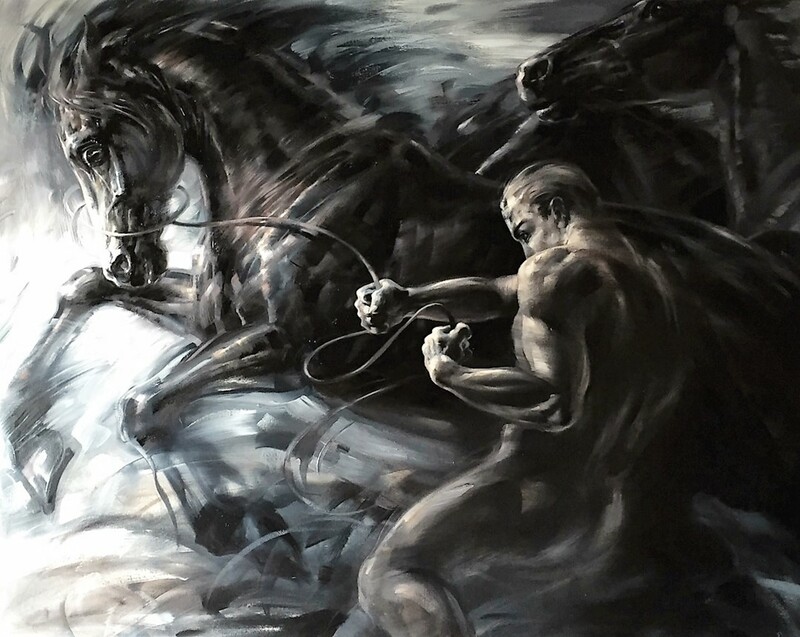 This lifelong fascination and a brilliant artistic talent won her a place at Rozenthal’s School of Art from 1980 to 1987. 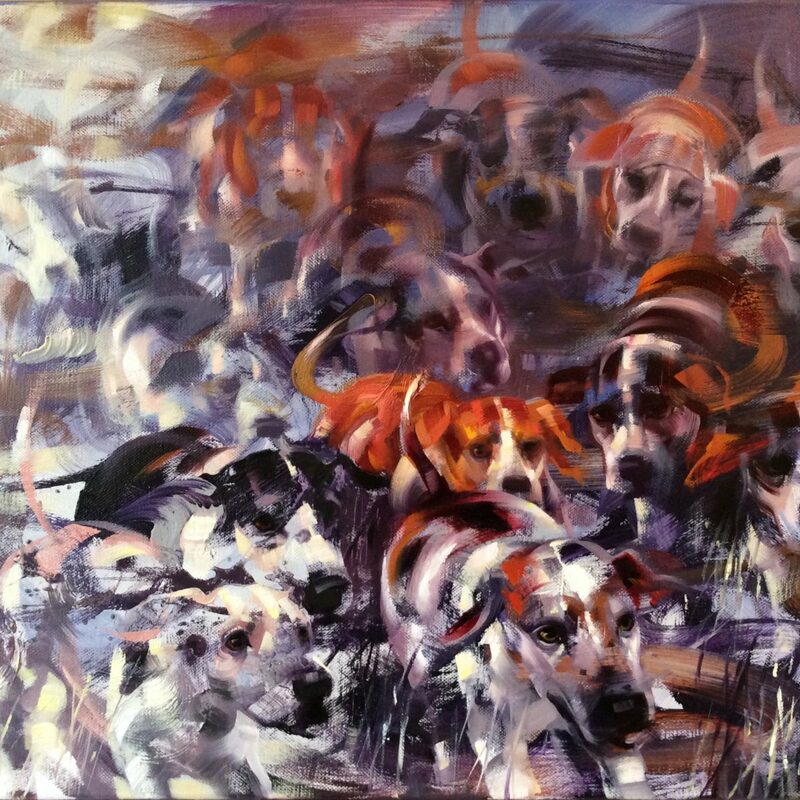 On graduation she studied fine art at the Academy of Art in Riga from 1987 to 1994. 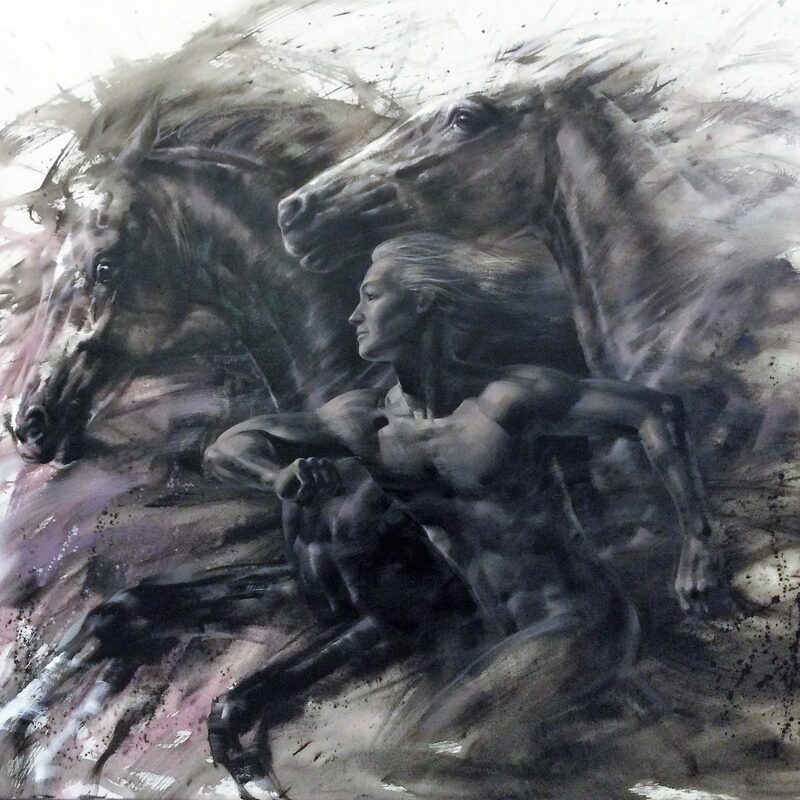 Vineta is accomplished in all media and is equally at home with traditional studies in oils, drawing and etching. 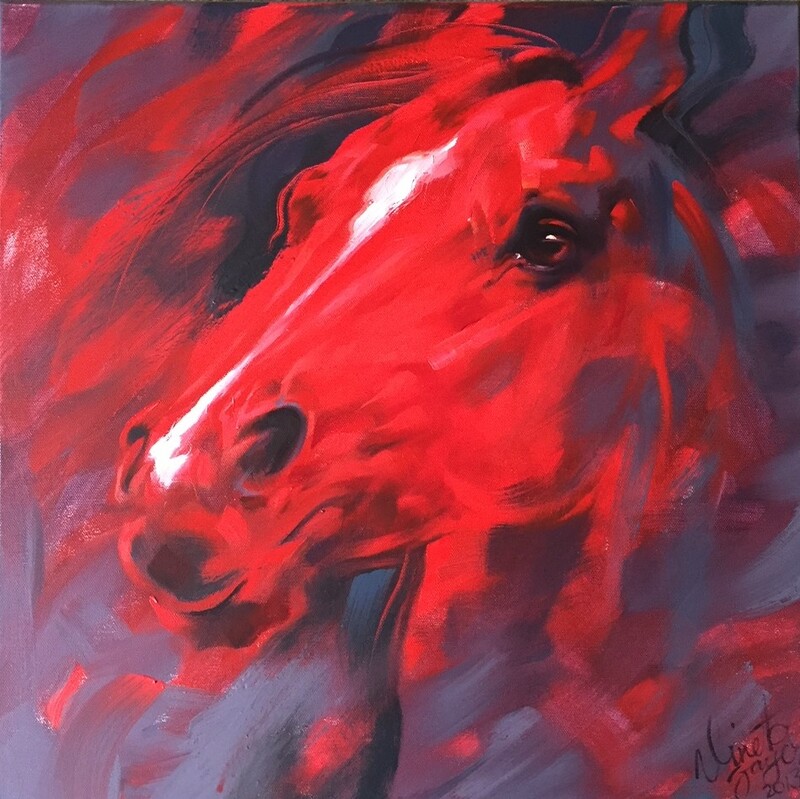 Vineta’s paintings are in private collections in Latvia, Lithuania, Estonia, Russia, Germany, Australia, the UK, Italy, Ireland and the USA. 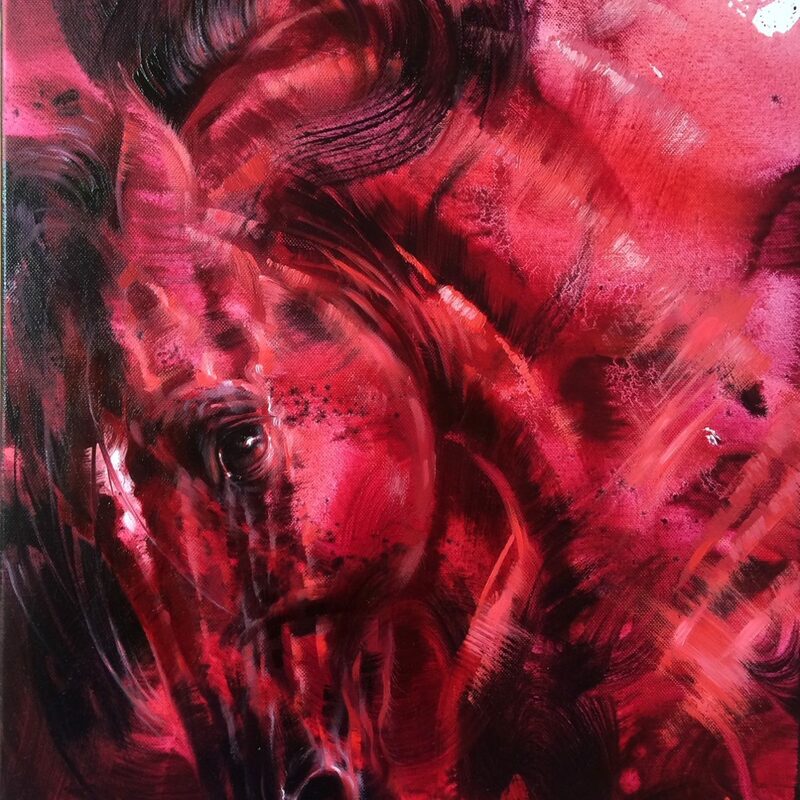 Her solo exhibitions include Galleries Laipa and Kolonna in Latvia, and the Neville Gallery and Francis Iles in the UK. 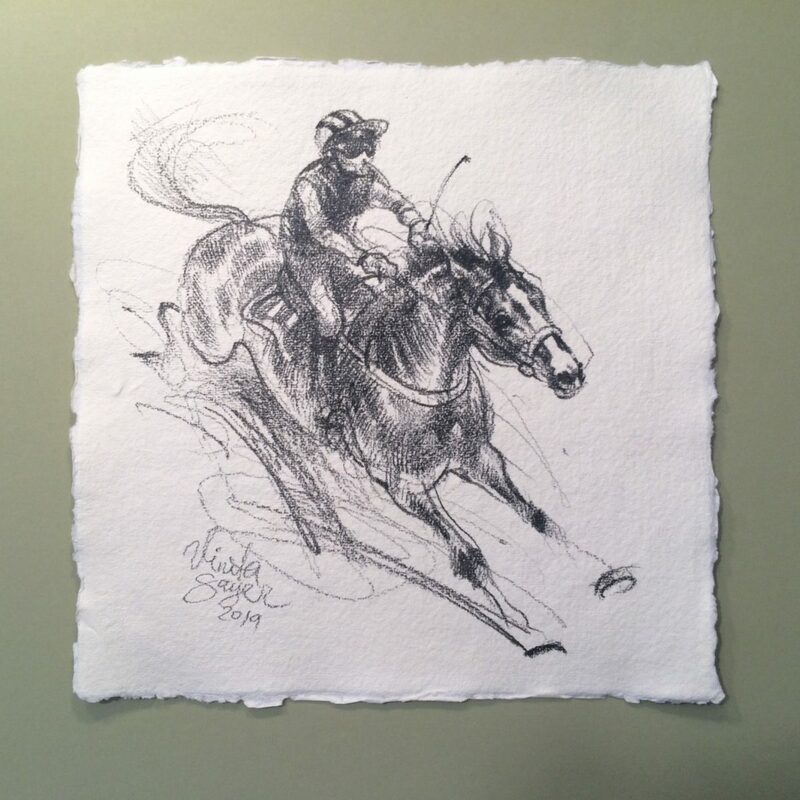 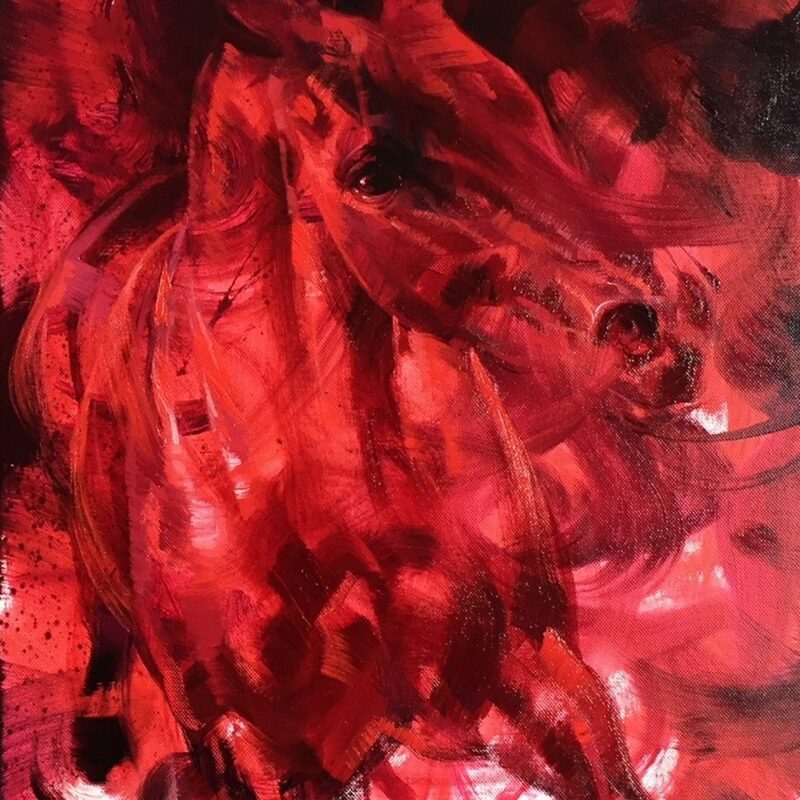 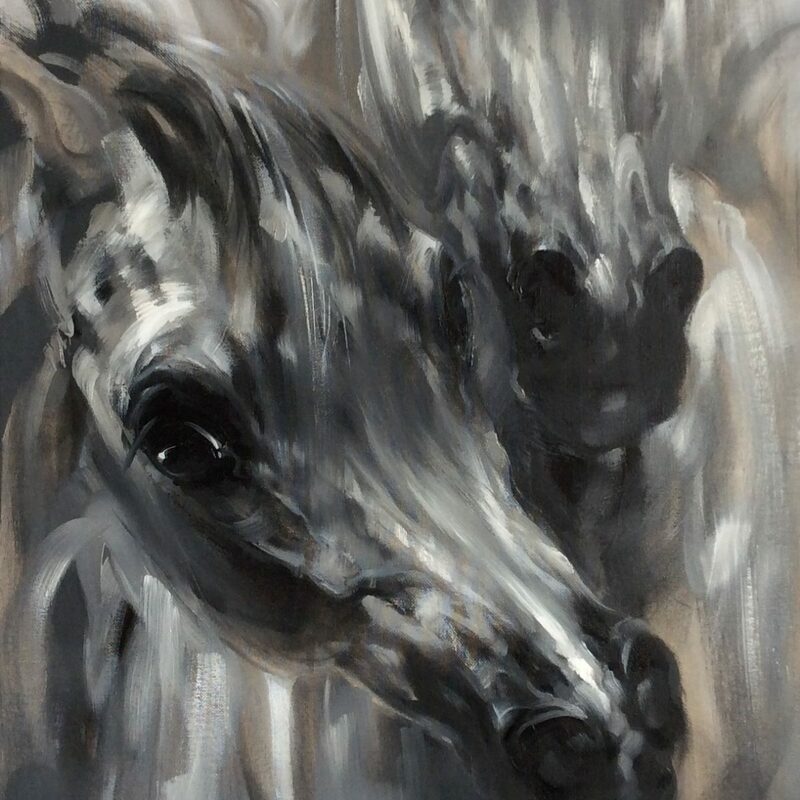 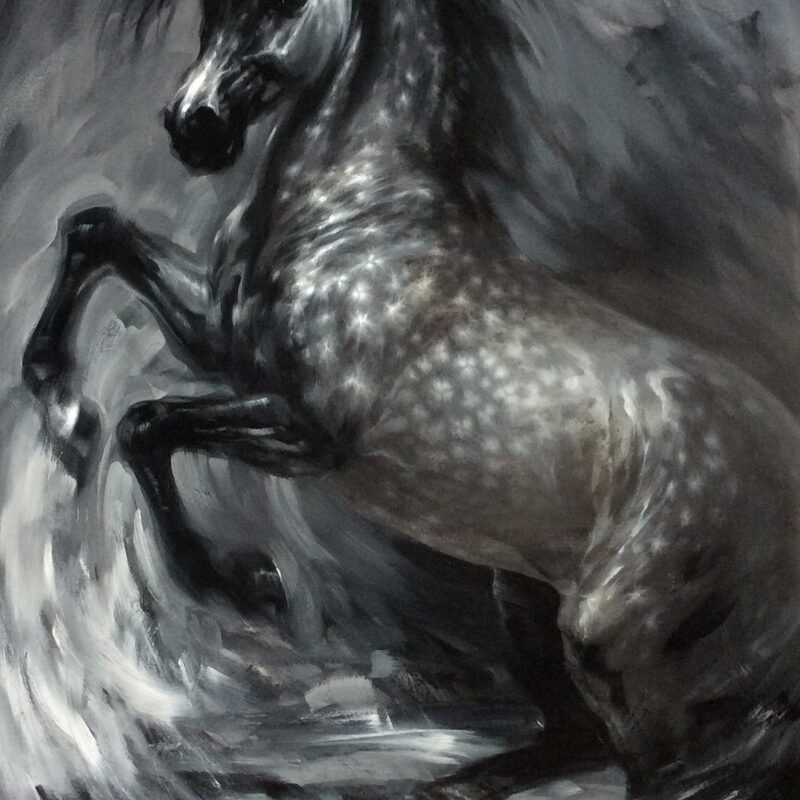 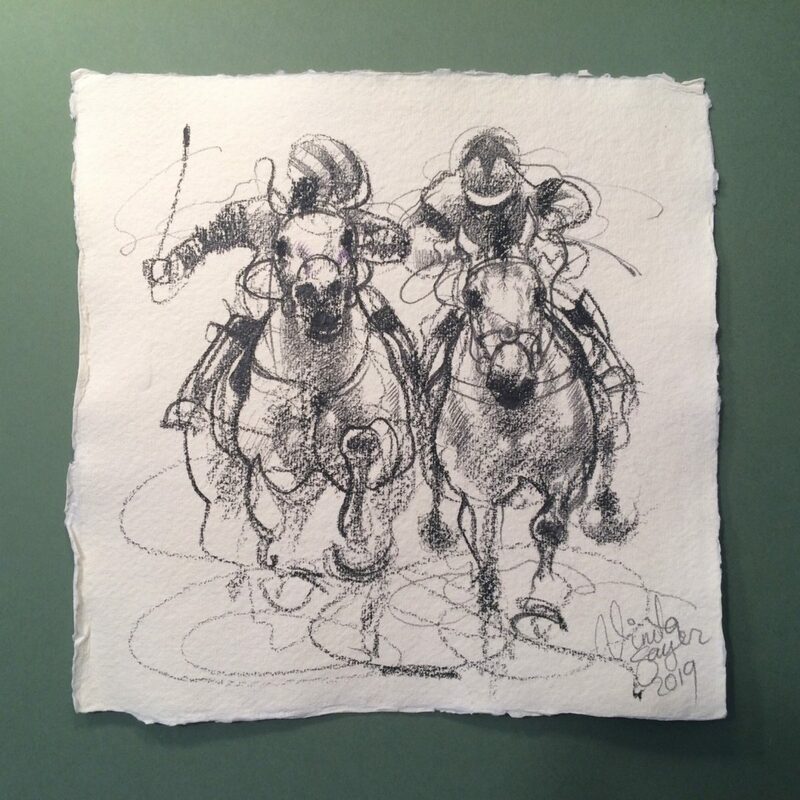 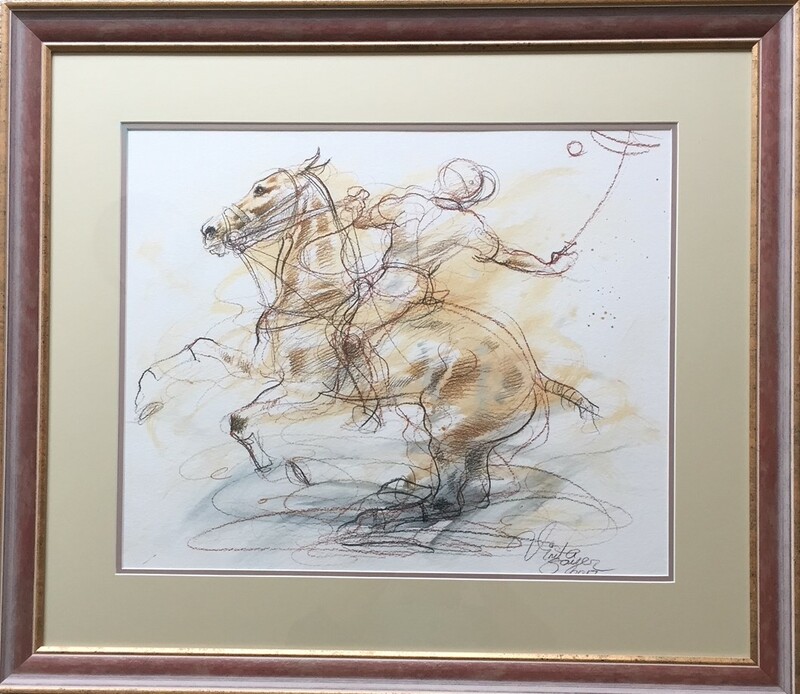 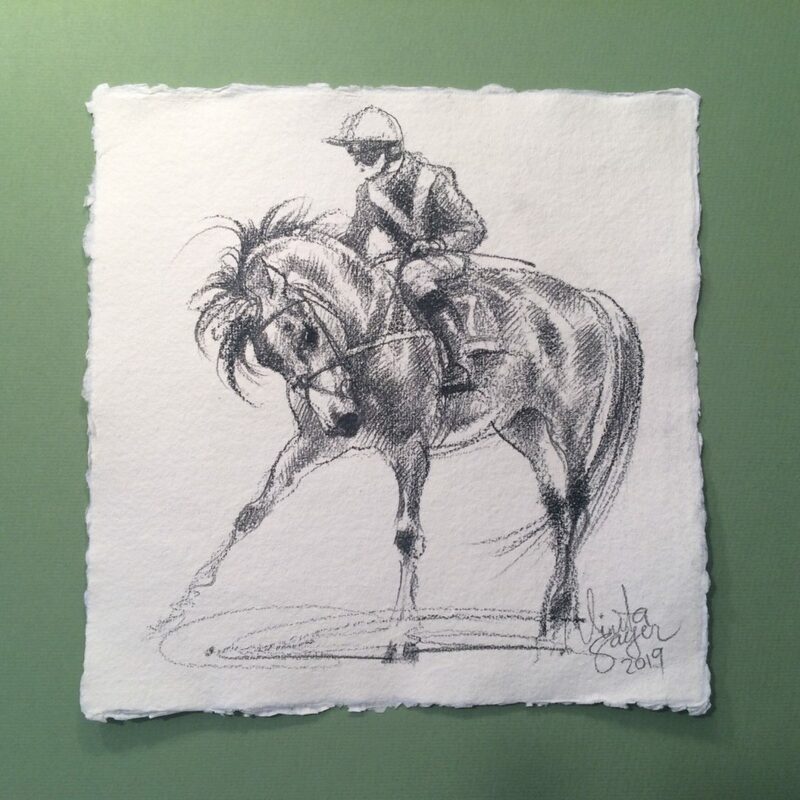 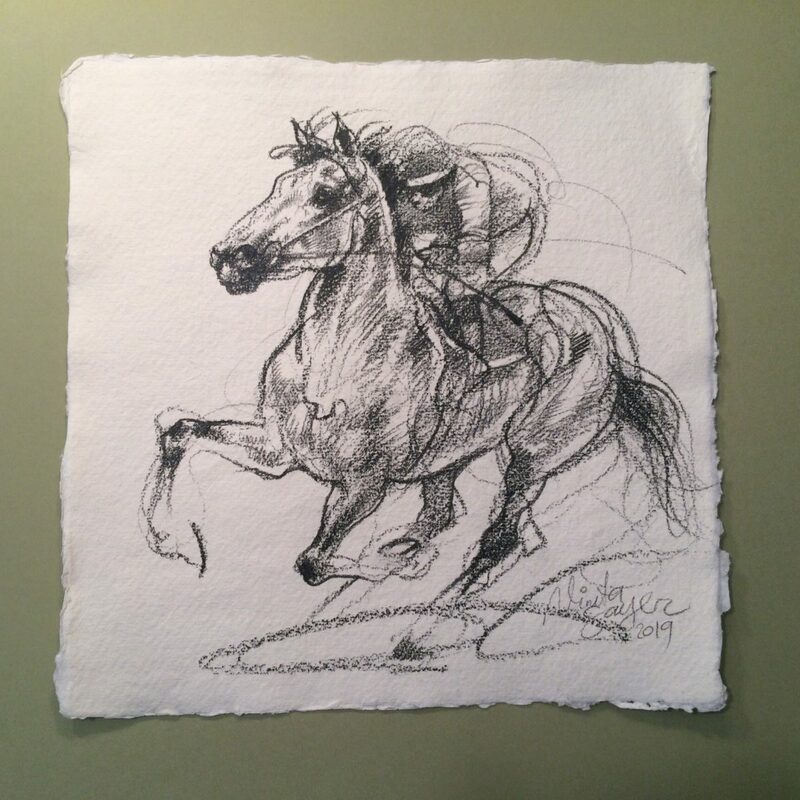 In 1999, Vineta won the Artist of the Year in Valmiera, Latvia and the prestigious award from the Le Puget Gallery, Alzonne, France for her drawing of equestrian studies. 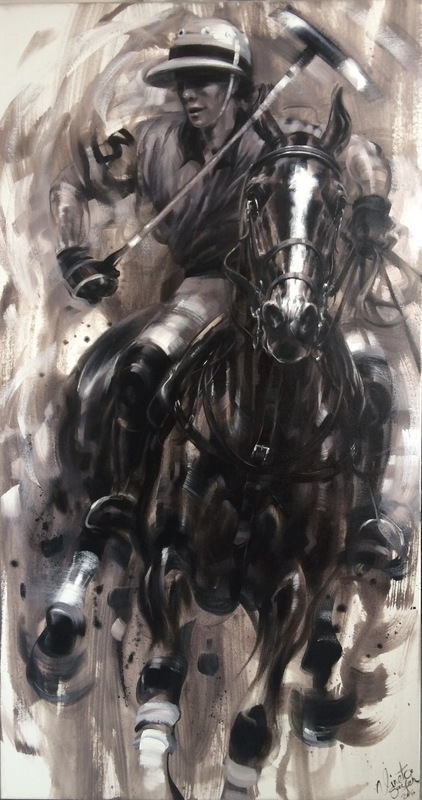 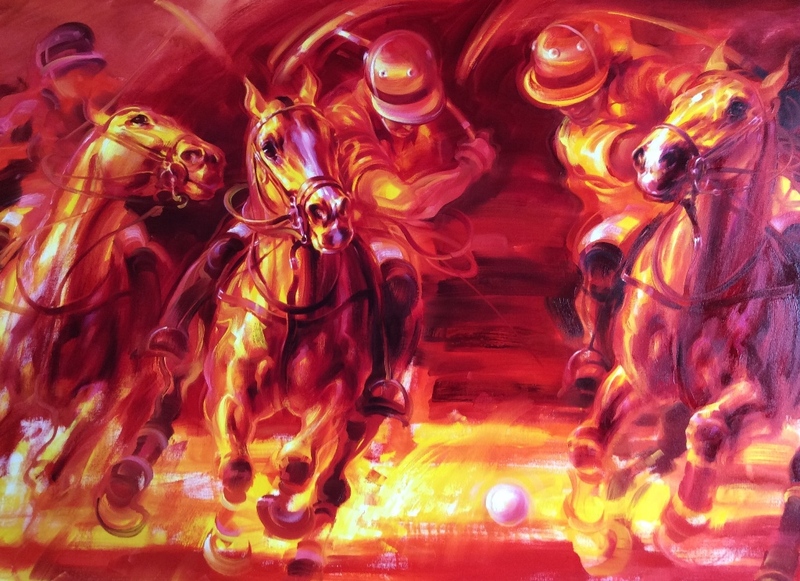 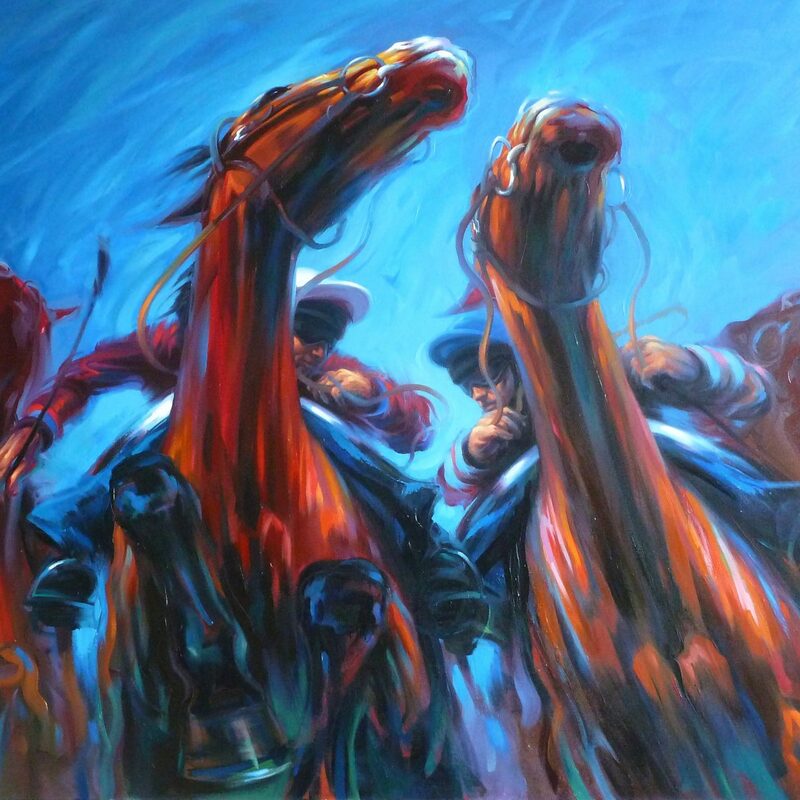 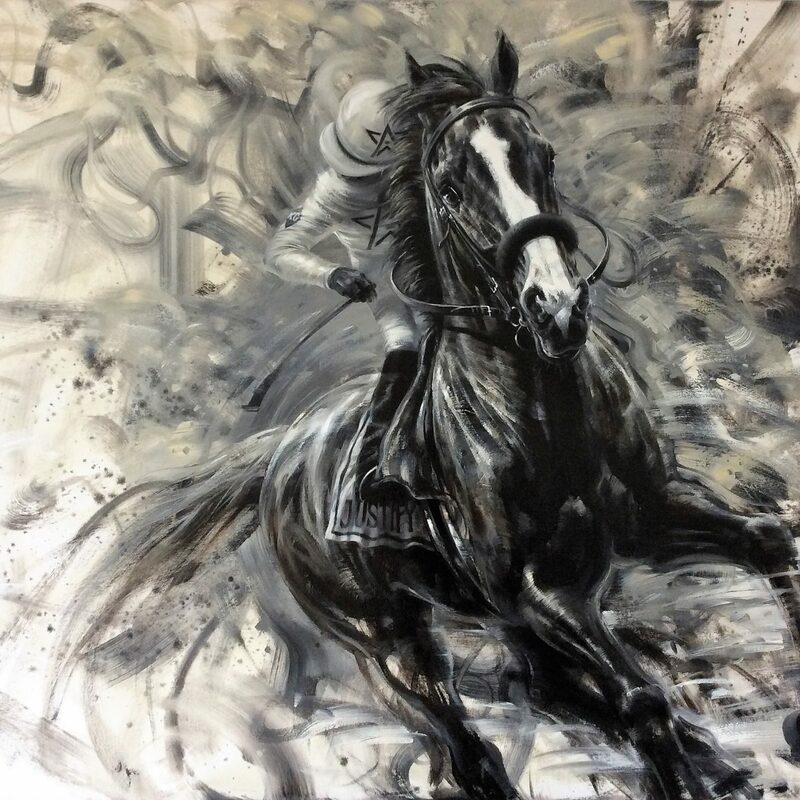 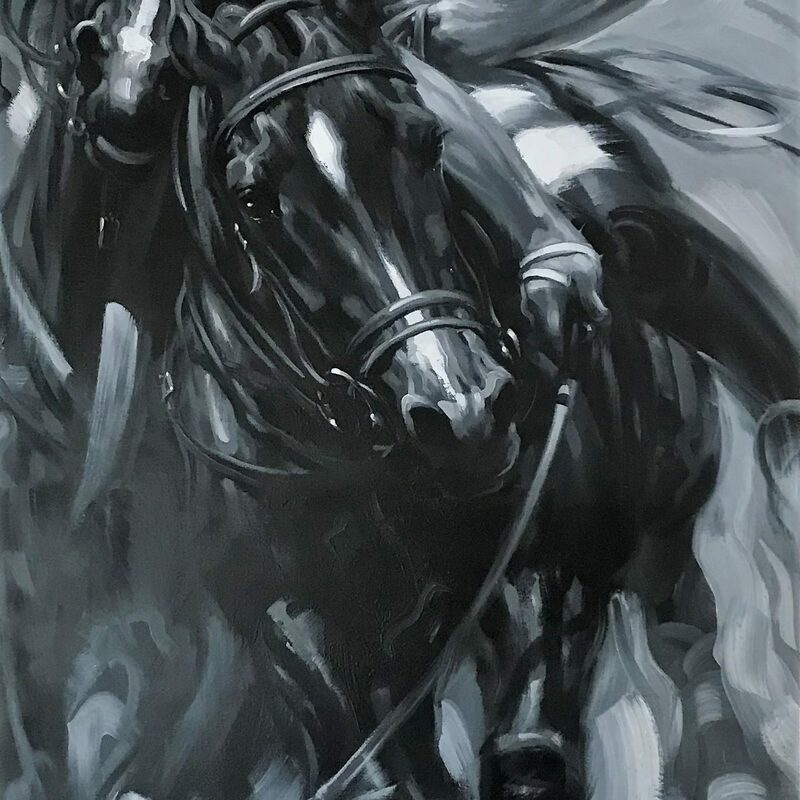 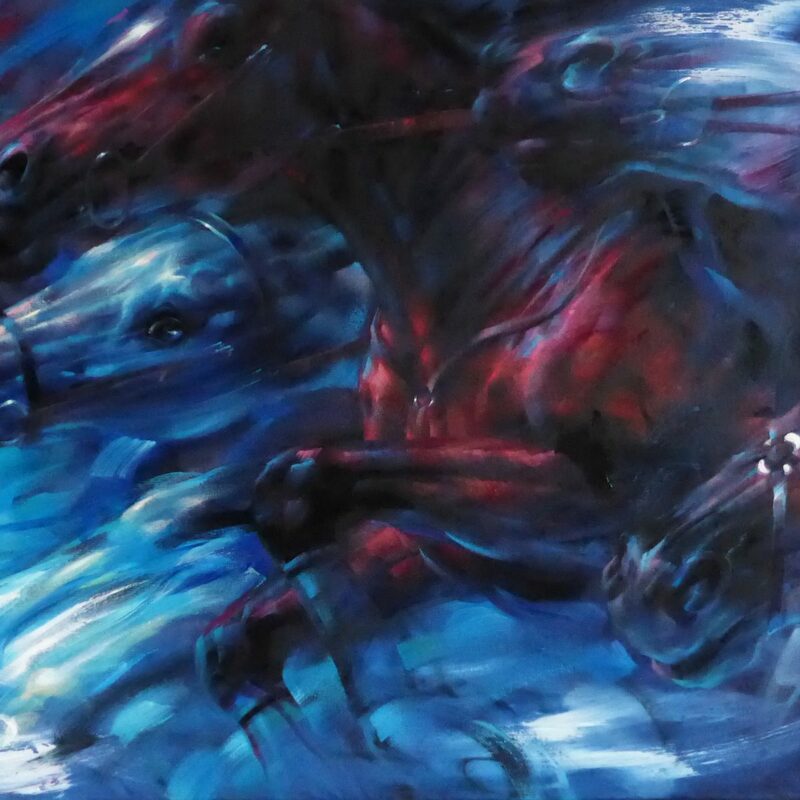 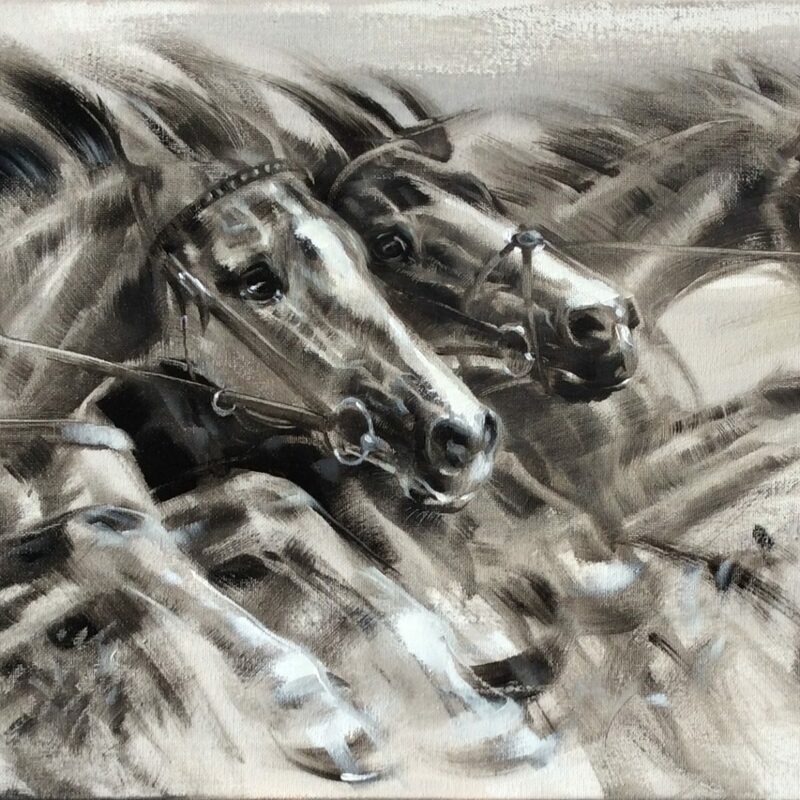 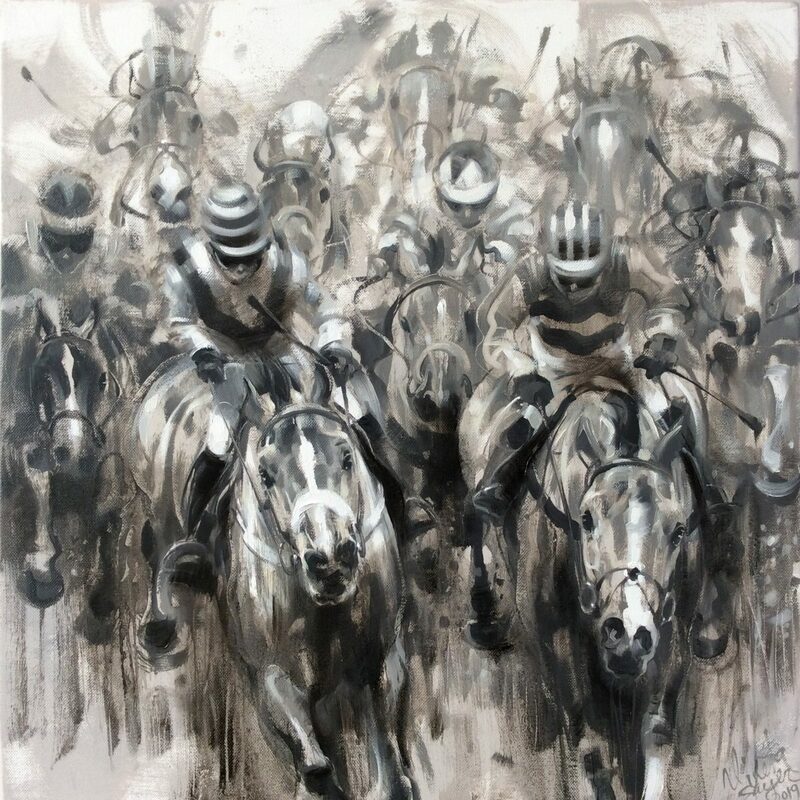 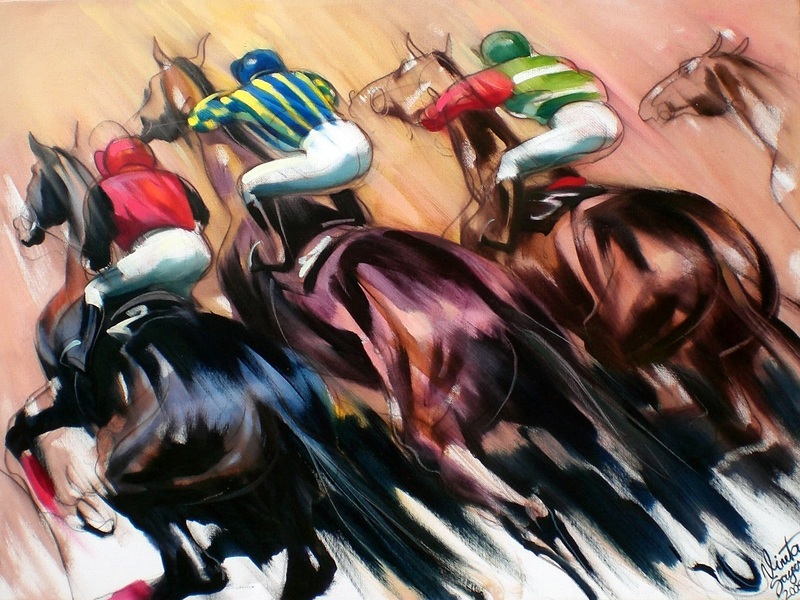 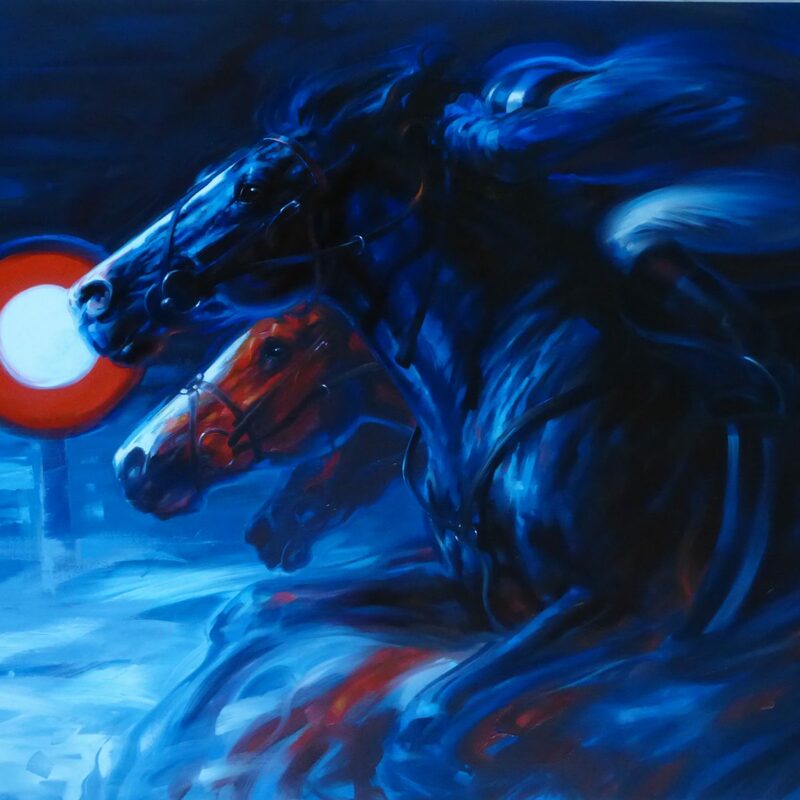 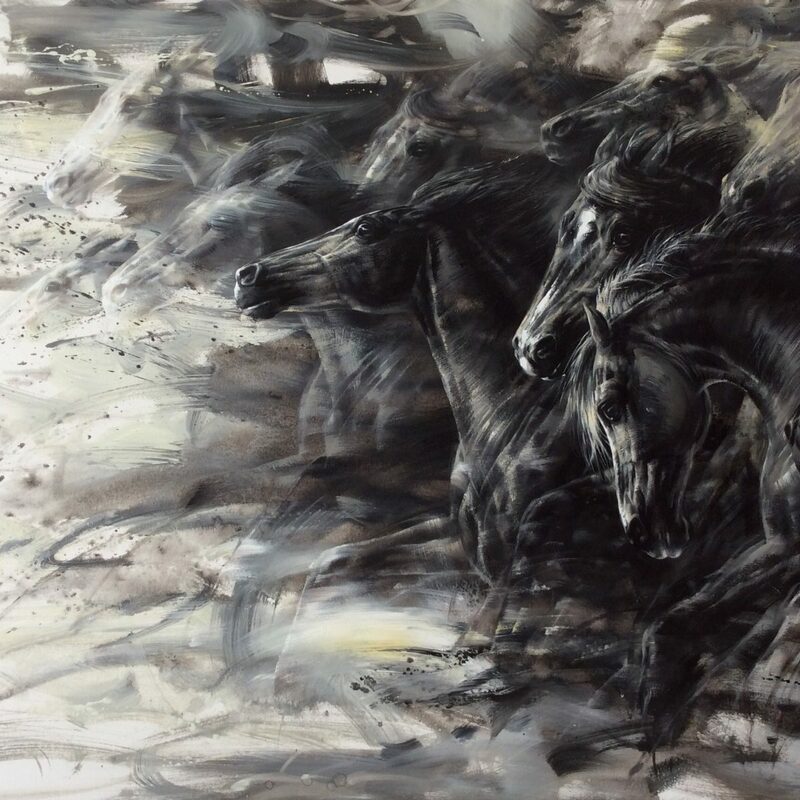 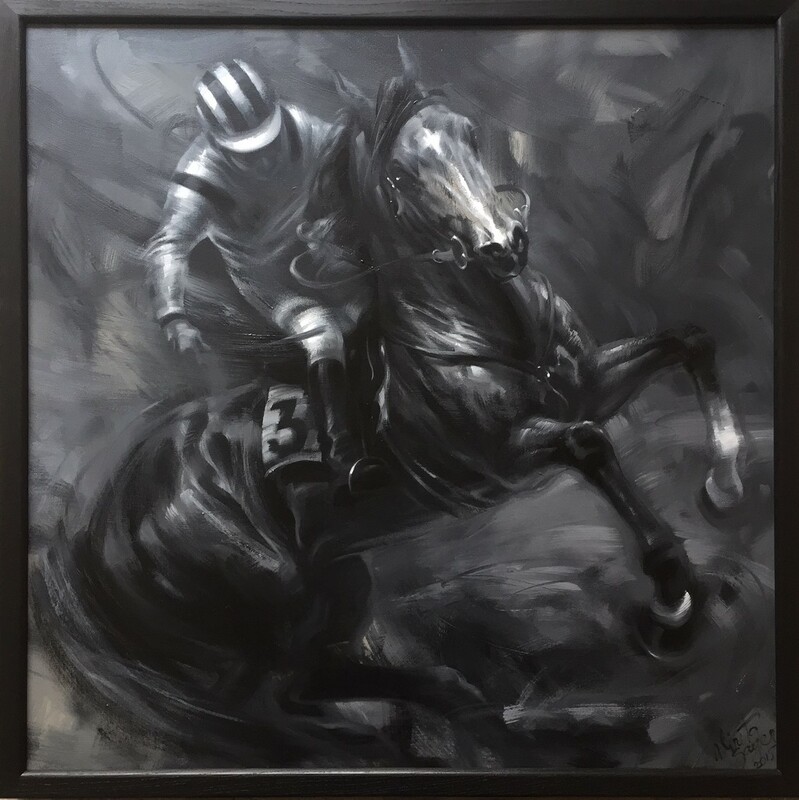 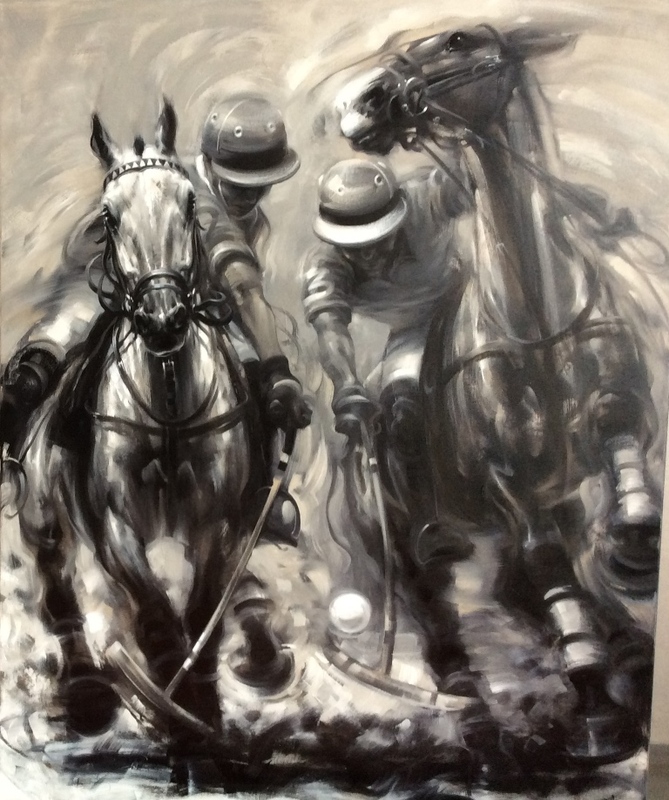 In 2006 Vineta’s submission for the S.E.A.’s Annual Exhibition in London won the Best Polo Painting Award. 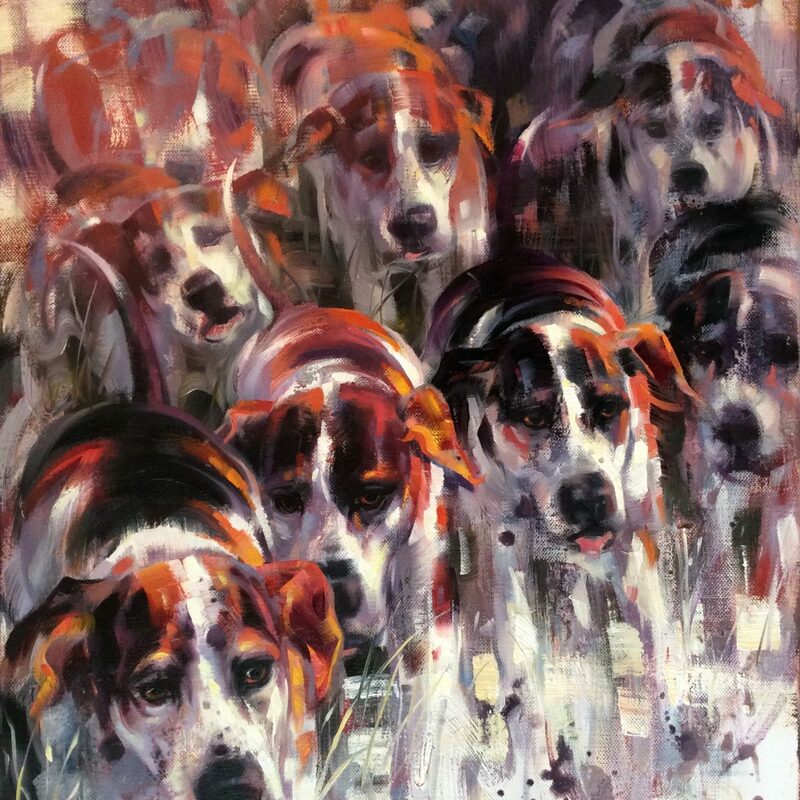 In the same year she was promoted to Associate Member by the Society, her work having been selected for exhibition for three consecutive years. 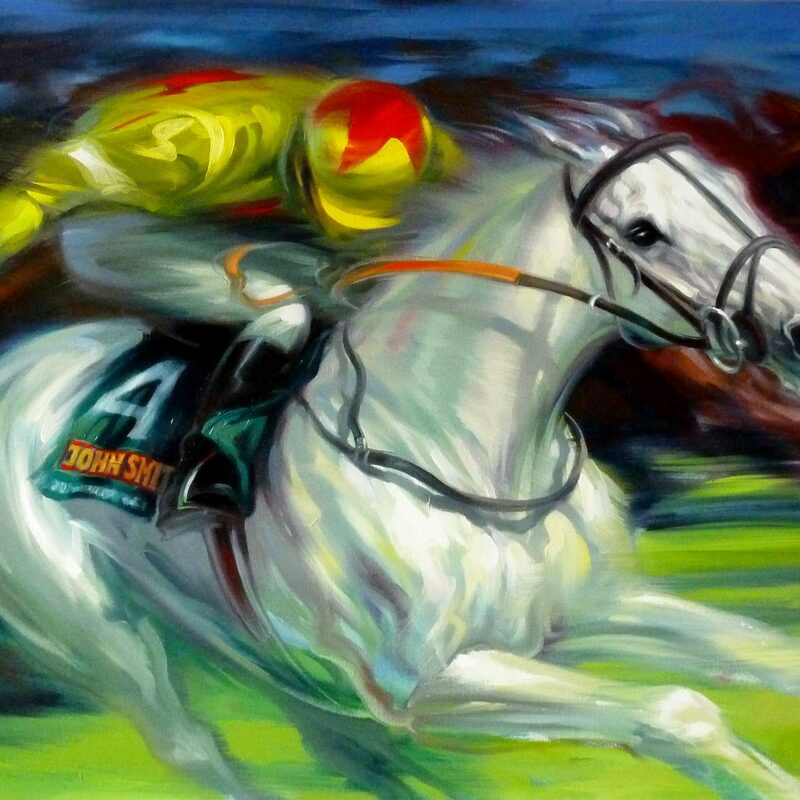 Also in 2006, Vineta was commissioned by John Magnier of the Coolmore Stud to paint a picture of Hurricane Run, winner of The Prix de L’Arc, for his great friend Michael Tabor. 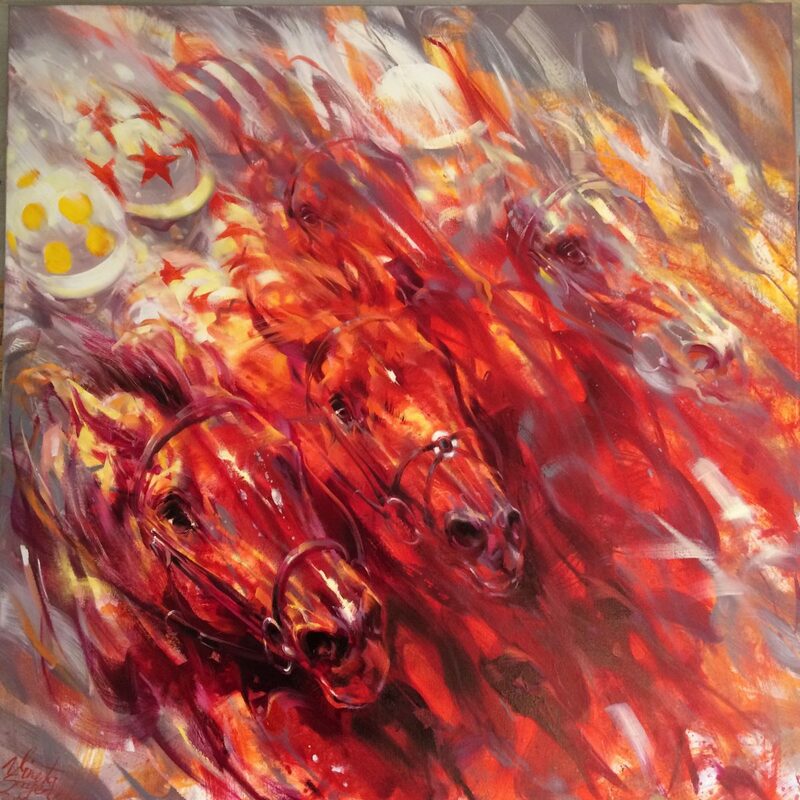 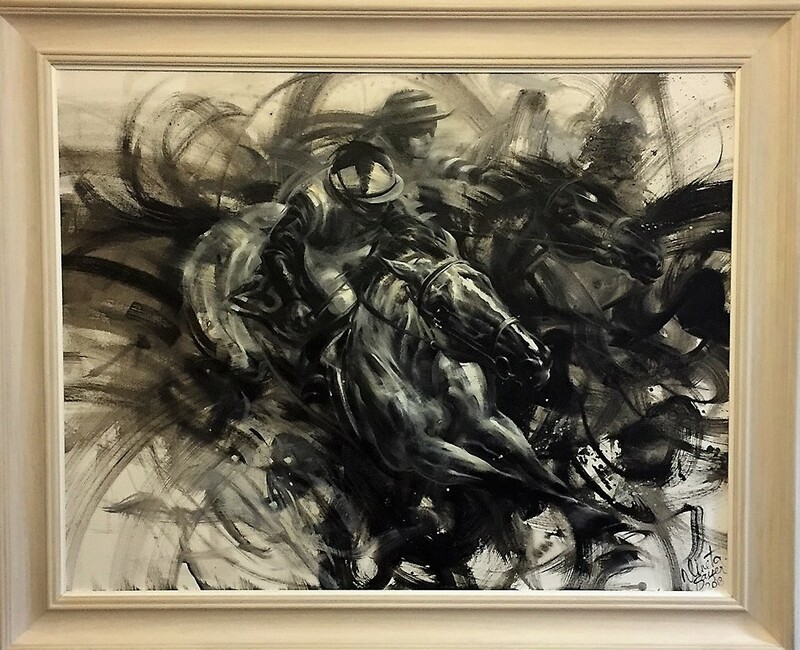 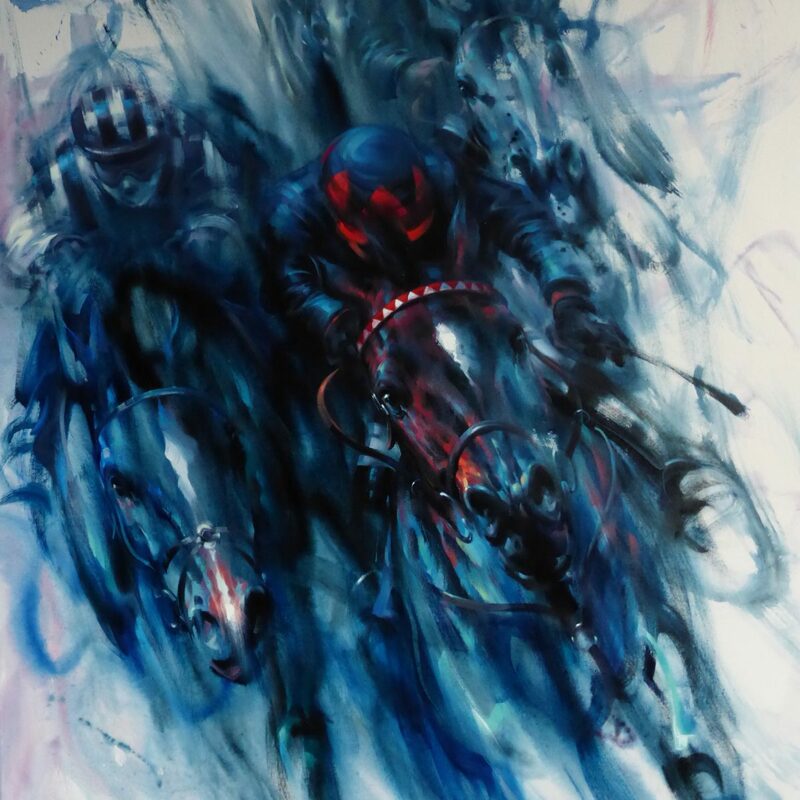 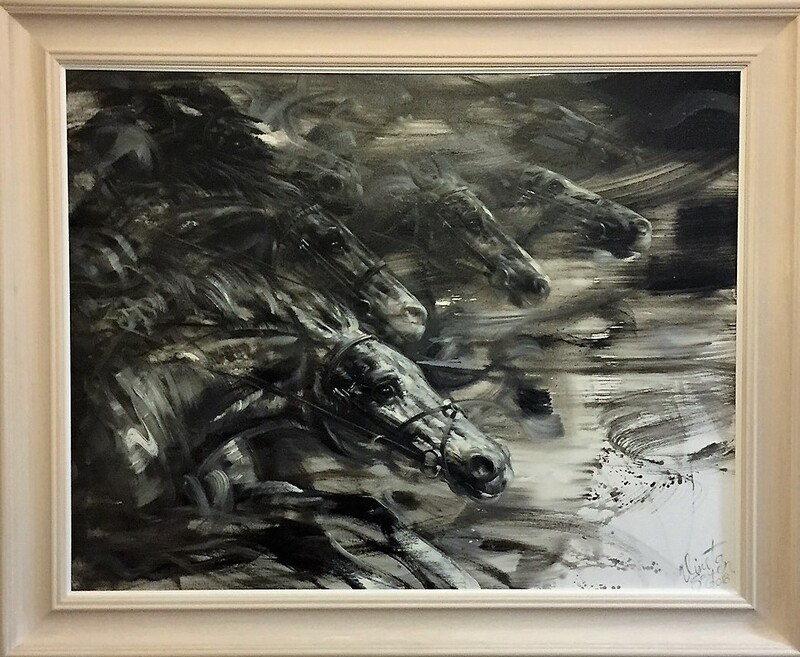 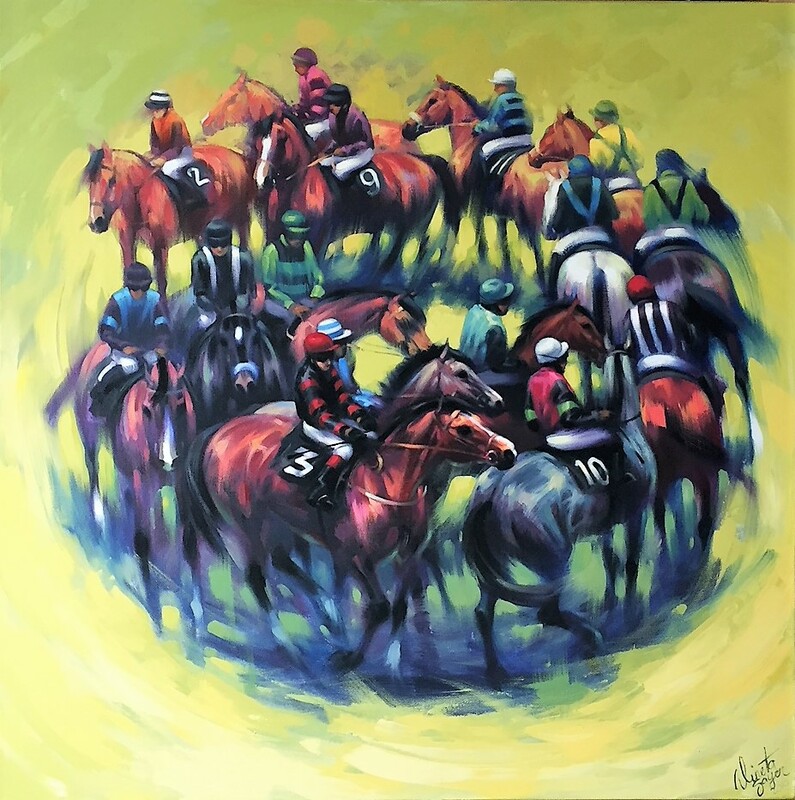 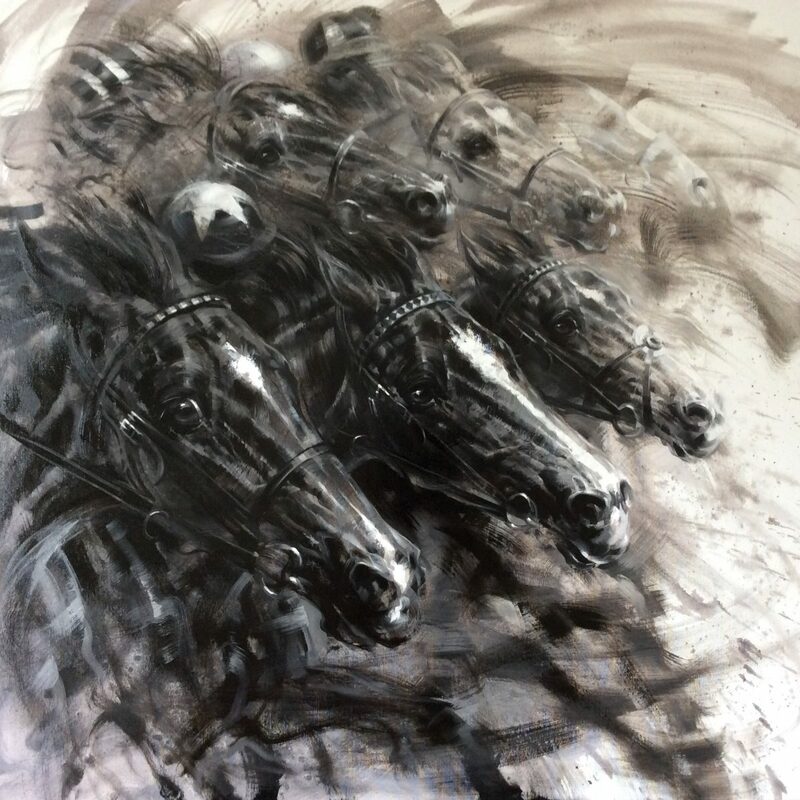 In 2017, Newbury racecourse commissioned Vineta to paint a series of racing paintings to adorn their new Owners and Trainers Club. 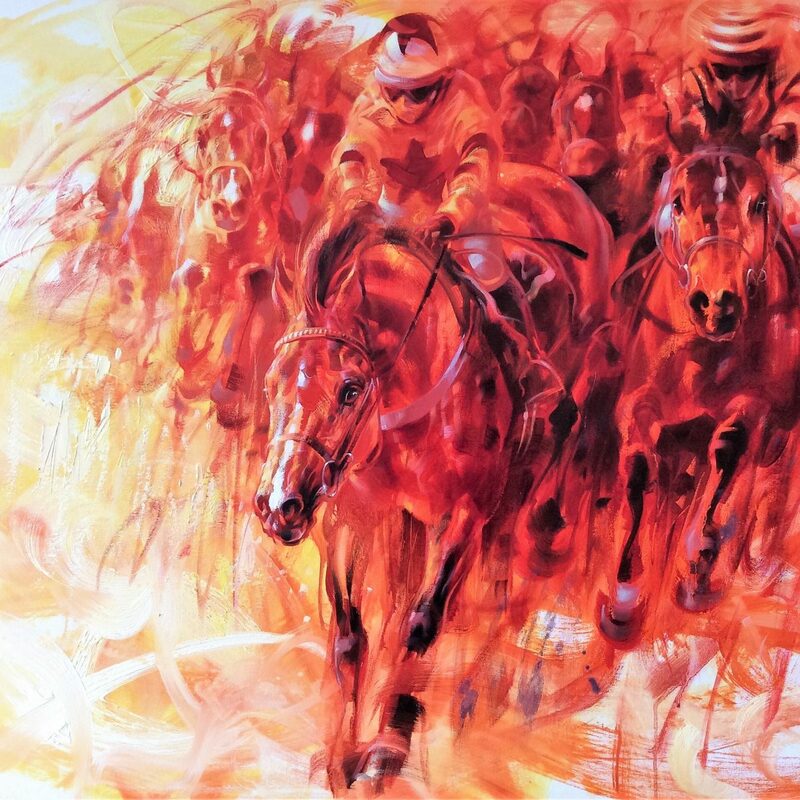 Also in that year Vineta was commissioned by Al Basti Equi-world, a major sponsor of The Gimcrack Stakes, to paint the winning horse for the winning connections. 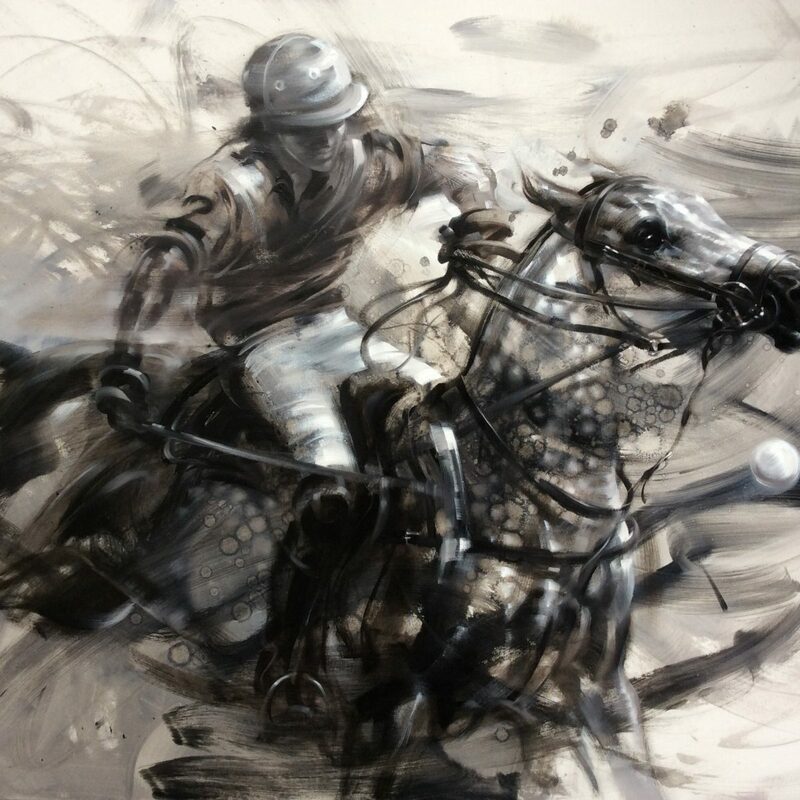 She is now a major presence in the world of modern British equestrian art.